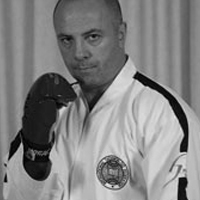 Master Jim Hogan dominated the UK tournament scene in the 1980's, winning numerous national titles in all disciplines (sparring, patterns and destruction). In 1984 he won a European title in sparring and then in 1990, after overcoming a serious knee injury, he won the prestigious Masters Cup in Stockholm. 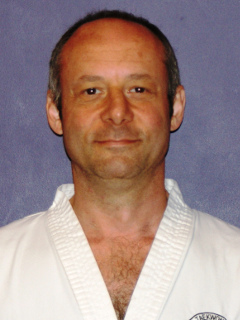 A highly sought after teacher and coach since the early 1980s, Master Hogan has run numerous schools in the UK where he has coached many UK, European and World champions. 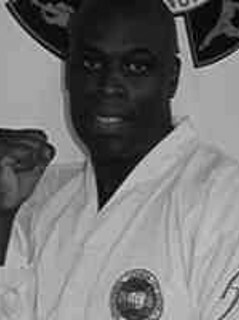 Master Hogan holds the rank of 8th degree black belt, gives special seminars in the UK and abroad and runs his own Taekwon-Do Association. Hogan's Institute of Taekwon-Do, with clubs in London and Surbiton, Surrey where he continues to train and teach. Master Hogan has authored a number of highly sucessful books and applications with Mr Home. I have had a life long interest in martial arts starting on my school Judo team before taking up Taekwon-Do in the 70s. I then trained a little in Lau Gar Kung Fu and in Shotokan Karate for some years before returning to Taekwon-Do, in which I now hold a 5th degree black belt. In addition to training and teaching, I have, in collaboration with Master Hogan, written three books on Taekwon-Do and I am currently producing a series of apps for Taekwon-Do and related martial arts training. All very interesting, but my passion remains, as always, training hard with good people. 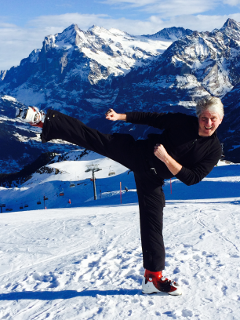 Mr Salmon has trained in the art of Tae Kwon Do for over 25 years under the guidance and tuition of Master Hogan and continues to study and learn, in preparation for completing his next degree. 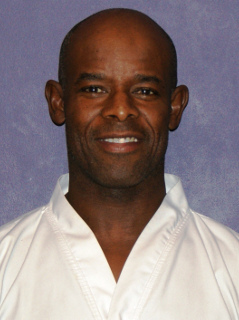 A former competitive body builder and life long fitness fanatic, Colin has also studied Ti Chi Chung and Wing Chun and has a extensive training and knowledge of Self Defence. Mr Salmon opened the Chigwell School of Tae Kwon Do in 2005 and is extremely proud of his students achievements and dedication. ‘For me there is nothing more satisfying than seeing people grow and develop under your guidance, that’s why I did this’. I have been training in the art for ten years, and have competed in national, european a world championships. The bug has not worn off I still love to train myself and to coach others. Theres still so much to learn, so I will try to improve and hopefully keep advancing. I have been training in Taekwon-Do for nearly 11 years; prior to this I did some training in Judo and Karate. I have competed for my country at the highest level. I was a member of the England Taekwon-Do team and recently competed in the 1st Senior World Championships in South Korea July 2010. I won a gold medal and was crowned World Champion in the Senior Heavy-Weight sparring division. I have previously competed in the 2006 European and the 2007 World Taekwon-Do Championships and have won numerous local and National Titles in Patterns and Sparring. The most amazing thing about Taekwon-Do is that I love training and I am always feel that the learning process is never over and I still feel like a beginner with a lot of room for improvement. may the journey continue.